What is a Statute of Frauds? The statute of frauds is a legal code, which refers to the specific requirements necessary for certain kinds of contracts and how they are memorialized in a signed fashion. In a broader sense, the statute of frauds is the legal code adopted by the United States to create a formal basis for how a contract is drawn and subsequently upheld by law. The statute of frauds, will fortify what information and evidence needs to be delivered at the time a contract is signed to create a legally binding agreement. The statute of frauds was created to legally affirm documents through the presence of signatures. As a result, the statue of frauds system, when followed, effectively prevents the presence of fraud and forgery. What does the Statute of Frauds Enforce? In many business transactions, oral agreements are not binding and enforceable; in the United States however, there are a multitude of instances where oral contracts are not deemed acceptable. 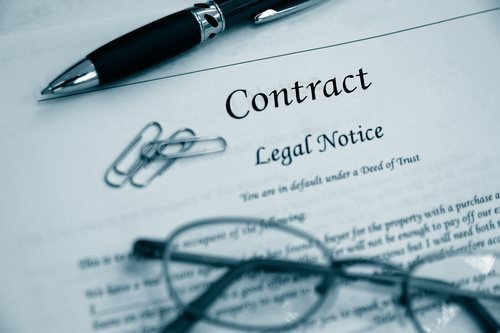 This characteristic is a result of the statute of frauds, which is a predominant component of contract law that places requirements on the formation of contracts. The statute of frauds, therefore, creates an establishment system that legally enforces the agreements or specifics within a particular contract. What does the Statute of Frauds Require? All contracts in the consideration of marriage and provisions that cover prenuptial agreements must be signed by the engaging parties. Contracts require signatures and established evidence for the transfer of an interest in land. This transfer applies not only to the contract to sell the land but also to any other type of contract in which land or an interest in property is disposed, such as the case of mortgage or grant. Contracts that revolve around a particular service that cannot be performed within one year of the contract’s finalization. That being said, contracts of indefinite duration do not fall under the statute of frauds, regardless of how long the performance attached to the service or product takes. Contracts that are initiated by the executor of a will that are drawn-up to pay a debt of the underlying estate with his or her money must satisfy the regulations and restrictions latent in the statute of frauds. Contracts where one party becomes a surety (the individual acts as a guarantor of a loan) for another individual’s debt or other obligation.